Dr. Lu brings her unique understanding of the mind/body relationship to her treatment of children, adolescents and adults. She develops a personal connection with each patient and family, which contribute to her success in treating depression, bipolar disorder, anxiety, obsessive-compulsive disorder, PTSD, autism spectrum disorder, eating disorders, ADHD, and schizophrenia. 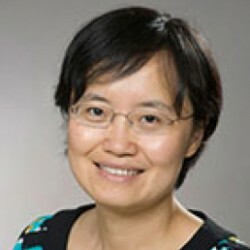 Dr. Lu holds a medical degree, specializing in psychiatry, and also has a PhD in microbiology & immunology. Her extensive training in both fields has led to her develop special interest in mental health as it relates to an individual’s physical health. Dr. Lu promotes a comprehensive approach to helping patients maintain better health through stress management.